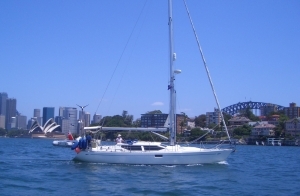 After living in London for eleven years, Kevin and I (Theresa) took a sabbatical from work in February 2004 and set sail on a three year cruise on board our Oyster 42 yacht, Sapphire of London . Our voyage took us through the Atlantic islands, across to Brazil, around South America and finally across the South Pacific to Australia. 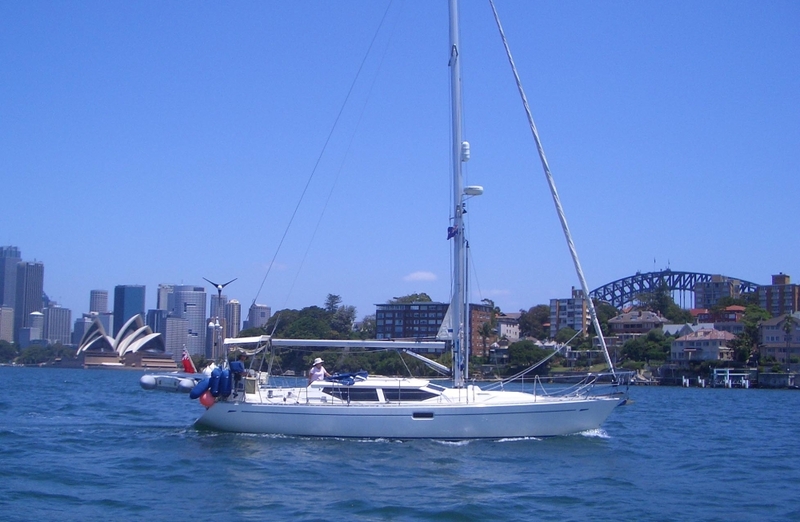 Almost three years and 23,000 miles after leaving London, Sapphire is moored in Sydney Harbour. This is where our voyage ends as we now plan to settle in Sydney (not least because I am due to give birth in a few weeks time!). Our lovely boat has looked after us wonderfully and taken us to places we had only ever dreamt of visiting. This is the last update to the website. I hope you have enjoyed seeing the places we have visited as much as we have enjoyed sharing them with you. Not too shabby a landfall! All content on this website (including text, photographs, video files and any other original works) is licensed under a Creative Commons licence. Throughout this website, the navigation bar will remain fixed in position when you scroll down the page if you use a browser with good support for Cascading Style Sheets, such as Firefox (see button below). For those unfamiliar with RSS, clicking on the Bloglines button in the navigation bar will enable you to subscribe to our news feed. This allows you to see easily when we update the site and what changes.